Join a readership of over 25,000 other readers in Ireland and overseas and subscribe to An Cosantóir today. 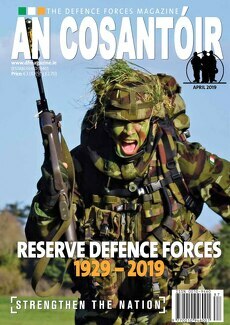 Have the official Irish Defence Forces Magazine delivered to your door, anywhere in the world. We have ten issues per year, with July/August and December/January being the double issues. Acceptable payment methods include cheque, bank draft. Cheques made payable to An Cosantóir Payment also accepted by Visa/Laser by calling Subs +353 (0)45 44 5312. You can also subscribe on-line by clicking here.